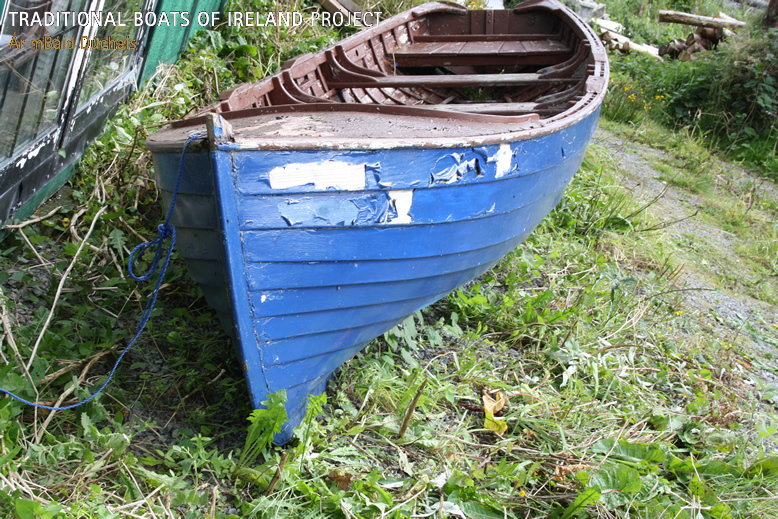 A two-man Lough Corrib angling boat of traditional design, mostly replaced by fibreglass boats now. The workshop of the renowned boatbuilder Jimmy Furey, at Mount Plunkett on the shores of Lough Ree, County Roscommon. Jimmy is well known for building lake boats as well as Shannon One Design sailing boats, at 86 years is currently building a Water Wag sailing dinghy with the assistance of Cathy MacAleavey. 3D scan of the first Shannon One Design Jimmy built, Hull no 108, as well as a rowing boat originally built by Jimmy's father.